Kemperton, Virginia: a town of small hopes and safe dreams. For nineteen-year-old Camilla Nielson, it was the only place she had ever known. That is until she meets Arabel Ruiz, her new, next-door-neighbor. After Arabel moves to town, Camilla suddenly starts discovering new spots in Kemperton, places she had never known existed before. Places like the lake. It was peaceful and undisturbed when they arrived there. But what starts off as an innocent, late-night swim quickly descends into the fight of their lives when Camilla and Arabel both find themselves sucked into a violent whirlpool. Camilla, positive she is going to die, stops fighting. But as one world closes in on her, another one opens. 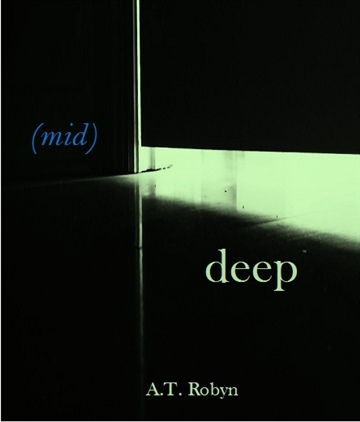 (mid)deep is a dark, mythical fantasy about a single girl torn between two different worlds but belonging only to one. Camilla’s journey home means uncovering the truth behind what happened to her the night she was taken from her quaint, small town and the mystery surrounding the neighbor who brought her there. It a story where the difference between life and death, love and loss, human and angel are only mid-deep. 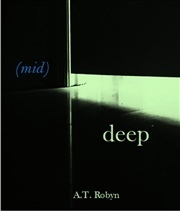 (mid)deep is a 6-part serial, so enjoy the ride and stay tuned! New serials will be posted weekly! Enjoy.